I have a full-time work at a company and live in Pakistan. My family belongs to a Roman Catholic Church. My mother had vision for me that I might serve as a Roman Catholic Priest. But I was saved at a Campus Crusade for Christ’s seminar. I am so grateful to my Lord, who saved me and now I am serving him as an Evangelist throughout Pakistan with several pastor friends. Under the umbrella of Gospel Evangelistic Ministries of Pakistan, we have been working among gentiles, fulfilling the great commission of our Lord Jesus Christ. Thanks be to God that there are so many organizations and even churches working among gentiles. And up to their visions and resources they have been doing very well. Sadly, however, little attention has been paid to the slums and back ward areas of Pakistan. You know everybody wants to enjoy the modern living of city life. People living in slums, working for Bricks Companies without modern facilities are badly ignored. 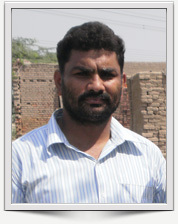 In this context, it is our heart’s desire to reach the un-reached in slums and backward areas of Pakistan (people working for bricks companies and living in remote areas) we do not preach only in nominal Christians but also we reach un-reached non-Christians through open street evangelism, one to one and through counseling. Through our donors, we are able to by some materials that assist us in the evangelism outreach. We do not only evangelism but also we have a heart to do something to improve their living standard by giving training them is survival awareness and education. In this regard, an adult education center, medical facilities, welfare and emergency relief work (in situation of earthquake or any kind of rainy seasion) is also in progress. We want to improve these ministry areas on better level. Progress is very slow here, due to no local support. Foreign donors in larger and prosperious nations are the only hope some our people have. 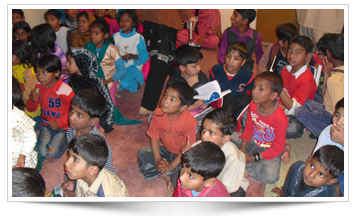 One of our ministry areas is the translation and printing of Christian- books in our national language for the edification of believers and leaders in Pakistan. if you have books which you want to be translated and printed in other languages, please contact us at your earliest. We will be pleased to promote your literature ministry in our country. Seminars and evangelistic meetings are also held time to time. I have big field of work. And if I did not have my job I would hardly meet my day to day needs. I am praying and looking forward to have good resources to extend our ministry work and to be a full time minister here so I may have more effective ministry for the glory of God and have sound communication with the people of God around the world. We hereby invite you to join hands with us for the lost, neglected and dying people in Pakistan and uplift the Pakistani churches through your prayers, literature and even with your financial contribution. Remember! Your little bit can make a big difference. We will be greatly encouraged and pleased, if you put your Heart and souls together with GEMP for the blessings and salvation of Pakistani people. More ministry details can be sent upon request. We are very thankful all of you for all your financial and Prayer supports. Please continue to prayer for our work and peace in our country Pakistan. Effective and fruitful ministry demands passion, burden, vision and time. Please pray for me and our needs in ministry. Click here to read GEOM’s reports and letters.